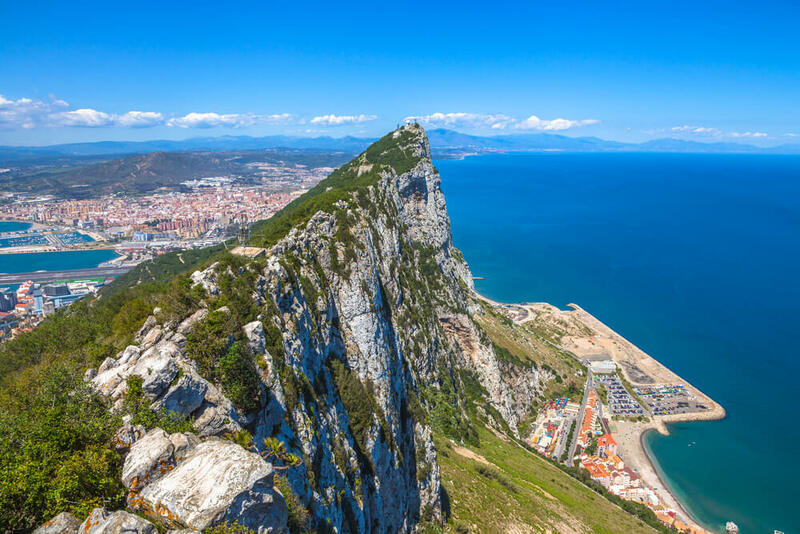 So, You Think You Know the Rock Of Gibraltar? Comments Off on So, You Think You Know the Rock Of Gibraltar? The Rock of Gibraltar is one of the most well-known landmarks in Gibraltar. Whether it’s from your room at the Caleta Gibraltar Hotel or on the plane landing in Gibraltar airport, it’ll be hard for you to miss the iconic rock. Not only does it look magnificent, but the rock itself has a wide spanning history which reflects the history steeped area where it’s based. Whether it’s the natural formation of the rocks, it’s wild inhabitants or the man made functions it has had over the years, there’s plenty to learn about the rock of Gibraltar that perhaps even locals weren’t aware of. After all, we’re talking about two millennia’s worth of history. The rock is well known as one of the most strategically placed landmarks in the world. With the large rock having been used as a fortress and acting as a great defence against invaders, the entire areas of Gibraltar is perfect for defence of Europe as well as trading routes. It’s no wonder so many people have tried to take Gibraltar for their own as whoever controls the Strait controls the trading routes to Europe. With the nearby Spain and Morocco bringing many goods from both Europe and Africa, Gibraltar and its iconic rock really bring the best of both worlds. The Rock is upside down! According to Geologists, the Rock was formed a few million years ago, when the African and Eurasian tectonic plates collided, creating the peak of this magnificent Rock. The only head scratcher is that the Rock of Gibraltar seems to be upside down. The limestone at the top of the rock seems to be a few million years older than the rock present at the bottom. This has always been a cause for puzzlement, the isolation of the rock even leading to several historical figures joking that the Rock of Gibraltar must have been towed from somewhere else. The Rock is also known as the Pillar of Hercules, named after a myth in which Hercules created the Strait of Gibraltar as a shortcut to walking over a mountain in his way. The Rock became known as one of the Pillars of Hercules after that, leading to many in ancient times seeing it as a marker for the end of the known world. Many travellers in the times of Ancient Greece believed that beyond the Pillar of Hercules lay the land of the dead, reigned over by the terrifying Hades. As mentioned above, the Rock is strategically placed to be one of the most useful military bases int eh world. During world war two, the positioning of Gibraltar acted as a deterrent for Spain to join the war. Even further back, the Great Siege Tunnels were used by the British to defend against invasions from foreign powers such as Spain and France. The maze-like labyrinth carved into the rock is truly a feat of human engineering. Everyone knows about the barbary macaques of Gibraltar. What they may not know is the myth that surrounds them. The legend goes that if the Barbary Macaques leave Gibraltar, then the British Empire will lose control of Gibraltar. This prompted many politicians and famous figures to urge for relief when the apes began dying out in the 1960’s.